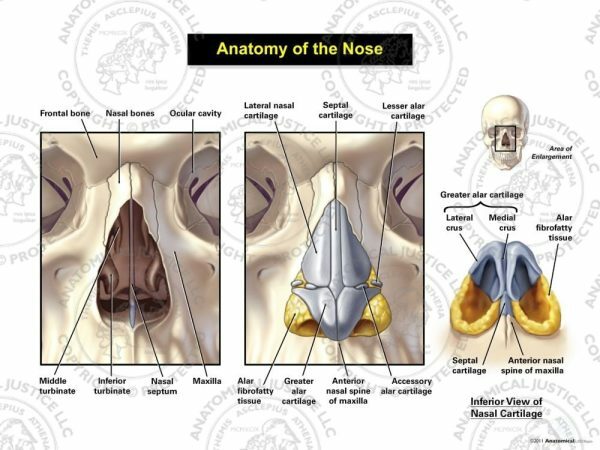 This exhibit depicts the bony and soft tissue anatomy of the nose. 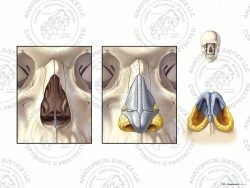 Anterior bony structures include: the nasal bones, inferior turbinate, middle turbinate, nasal septum, and maxilla. 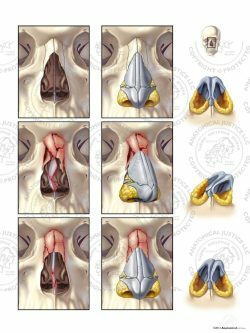 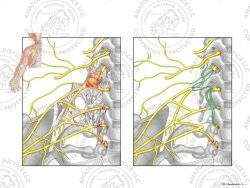 Anterior soft tissues include: lateral nasal cartilages, septal cartilage, lesser alar cartilages, greater alar cartilages, accessory alar cartilages, and alar fibrofatty tissues. 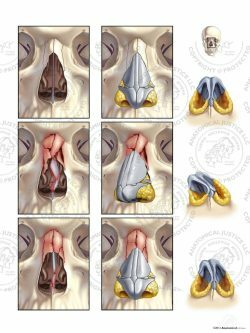 Inferiorly, the lateral and medial crura of the greater alar cartilages can be seen, along with the septal cartilage.